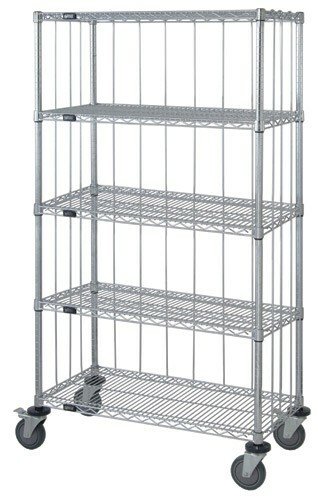 24" x 60" x 69" Wire Shelves Shelving Enclosure Carts are an effective way to keep contents from moving or falling off during transportation. 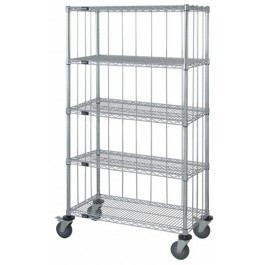 The rods and tabs are adaptable to any shelf position. Units consist of 4 - posts, 5 - Wire shelves, 4, 5 or 6 - rods & tabs kits, 4 - 5" swivel poly stem casters, 2 with brakes and 4 - donut bumpers. Finish: Chrome.